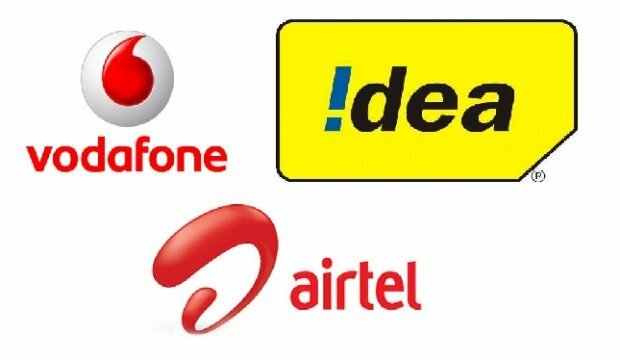 In order to reduce the loss due to the non-recharge of the subscribers, telecom companies such as Airtel, Idea and Vodafone introduced the mandatory minimum recharge system for their customers. As a result each and every customer needs to recharge regularly with any plan voucher to keep their number active. With the entry of Jio, all other operators are facing big loss. Almost all the users are now keeping their main mobile number which is mostly belongs to Airtel, Idea or Vodafone in an in-active mode. Those who used to recharge regularly on Jio number are keeping other network SIM card only to receive incoming calls. This act doesn’t provide any revenue to the telecom companies and finally they decided to introduce the compulsory recharge plan, so that one who wish to use their service, either to make or to receive calls have to do regular recharge. Failing will result in blocking of outgoing service first, later the incoming service and finally the deactivation of the number. Many people are disturbed by the new rule and looking to skip the recharge. Some other planning to port to other network such as BSNL, so that, user can avoid regular recharges. Here, we will check, is it possible to skip the monthly minimum recharges. Firstly, we have to understand that, there is no tricks to cheat them, so that we can avoid that. We don’t want to share that type of tricks. But here we are looking for a simple logic, so that we can extend the regular recharge with the least available amount. If you are regularly using and recharging to make and receive calls, then you don’t have to think of this, because with your every recharge, validity also will be added. This logic works only for those people who wish to keep their number active to receive incoming calls only. Step 1: Once the validity ends, or just before the current validity ends, do a recharge of Rs. 35/-. You will be getting validity for 28 days. Also you will be getting Rs. 26.5 talk time. Step 2: When the 28 days finishes, do not recharge again, also consider the Rs. 26.5 talk time received in the earlier recharge is still there. Then once the 28 days finishes. Rs. 25 will be automatically deducted from your existing talktime (Rs. 26.5) and the validity will be further extended to 28 days. Step 4: Now also, do not recharge instantly. At this point, your outgoing service will be stopped and you still have incoming facility. This will be available for the next 15 days. Step 5: Once the 15 days is over or just before it happens, Do again recharge of Rs. 35 as like in the step 1 and repeat the process. So, with a single Rs. 35 recharge, you will be getting an validity of 28+28+15 = 71 days. This logic is only useful for those who keeps the number for incoming calls only. If you are using the outgoing service such as call, sms and data. This logic will not work.